Wisconsin Military Funeral Honors program is a partnership existing between the Wisconsin National Guard, Wisconsin Department of Veterans Affairs (WDVA), and Veterans Service Organizations across the state. 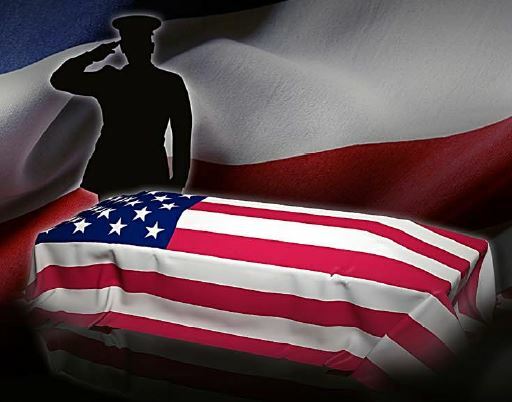 Who is eligible to receive Military Funeral Honors? Completed a minimum of one term of enlistment or period of initial obligates service in the Selected Reserve and discharge conditions are under other than dishonorable. Who should I contact to on behalf of my deceased family member? Branch of service and type of service, i.e. – Air Force, Navy, Army and Active, Guard/Reserve, Retired, etc. What type of Military Funeral Honors are available? Military Funeral Honors are performed for traditional, memorial, and immediate disposition. The dignified honors sequence vary slightly depending on the burial service, most notably with the displaying and folding of the flag. Two currently serving service members render honors ceremony, sound “Taps” and fold and present the American flag to the next of kin. VSO representatives conduct a firing of 3 rifle volleys and uniformed service members sound “Taps”, fold and present the American flag to the next of kin. Veteran service members that retired from the National Guard, Reserve, or Active Duty, who achieved the rank of Sergeants Major (E9) or General Officer (O7), and were not killed in action are authorized 6 pallbearers plus any combination of 3 consisting of a Chaplain, firing party, officer or NCO in-charge and bugler. Join the Wisconsin Military Funeral Honor Guard Team! This position is open to Soldiers in a regular drilling status (M-day). Receive one day’s base pay and one retirement point and travel reimbursement for missions with more than 100 miles round trip. Period of employment is indefinite. This is an ideal part-time job for college students because you can work when you want! If you have questions about joining this elite team or how to request funeral honors, contact the State Honor Guard Non-commissioned Officer In Charge (NCOIC), Sergeant First Class Katie Schilz.